For current concepts of expendable systems the configuration choice of cylinders is practical. At best the solid boosters for the United States Space Shuttle are recovered from a low Mach number separation close to the Florida shore. However, for reusable vehicles and long-life, sustained-use vehicles the requirements for glide range become important enough to shape and even determine the configuration of the launcher and launcher components. As discussed in Chapter 2, the first example is that of a more conventional launcher designed from the start for 100% recoverable elements, and 80 flights between overhaul/refurbishment. Information about this launcher comes from a briefing on Energia that V. Legostayev and V. Gubanov supplied to one of the authors (PC) concerning the Energia operational concept (designed but never achieved, as Energia was launcher for the first, last and only time in 1991). The second example is that of a hypersonic glider/launcher that was intended to be operated over 200 launches before scheduled maintenance. This is from work from one of the authors' (PC) experience at McDonnell Douglas Corporation, McDonnell Aircraft Company, including hypersonic gliders based on the USAF Flight Dynamic Laboratory FDL-7 glider series, the McDonnell Douglas model 176 Manned Orbiting Laboratory Crew and Resource re-supply/rescue vehicle, and the hypersonic cruise vehicle work done for the NASA-sponsored Hypersonic Flight Research Vehicle Study (HyFAC) in the 1965 to 1970 time period. To recapitulate the observations from Chapter 2, Figure 2.10 shows the goals of the Energia operational concept with all its components recoverable for reuse. The sketch was a result of discussion PC had with Viktor Legostayev and Vladimir Gubanov at several opportunities. The orbital glider, Buran was a fully automatic system that was intended to be recovered at a designated recovery runway at the Baikonur Space Launch Facility at Leninsk, Kazakhstan. (In Kazak, the Baikonur site is called Tyurastam, or coal mine, which is the first facility encountered when entering Baikonur.) Buran has a very different operational envelope than the United States Space Shuttle. In a briefing from Vladimir Yakovlich Neyland when he was Deputy Director of TsAGI, the specific operational design parameters were presented; among its features of interest, Buran's glide angle of attack was said to be between 10 and 15 degrees less than the Shuttle, and its lift to drag ratio to be greater. This because Buran's glide range was intended to be greater than that required for one missed orbit, as is the case with the Shuttle. The center tank used an old Lockheed concept of a hydrogen gas spike (to reduce tank wave drag) and overall very low weight-to-drag characteristics to execute a partial orbit for a parachute recovery at Baikonur. 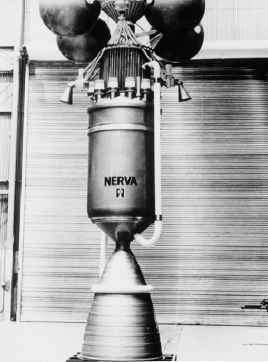 The strap-on booster were recovered down range using parasail parachutes or returned to Baikonur by a gas-turbine-powered booster with a switchblade wing. It is important to point out that the basic design of Energia was to have all of the components recoverable at the launch site, in this case Baikonur. Figure 3.8. Space and atmospheric vehicle development converge, so the technology of highperformance launchers converges with the technology of airbreathing aircraft. M = Mach number. Flight Dynamic Laboratory and McDonnell Douglas Astronautics Company provided a basis to converge the space and atmospheric vehicle developments to a common set of characteristics. As shown in Figure 3.8 [Draper et al., 1971] that convergence was published in the AIAA Aeronautics and Astronautics publication in January 1971. The correlating parameter is the "total volume'' raised to the 2/3 power divided by the "wetted area''. The converged center value is 0.11 ± 0.03. The importance of this convergence is that the space configurations were moving from blunt cylinders, and atmospheric configurations were moving from wing-cylinders to blended lifting bodies, without any clearly defined wing (although there were large control surfaces, these primarily provided stability and control). This convergence of technical paths remained unrecognized by most, with only AFFDL and two or three aerospace companies (McDonnell Douglas being one of those companies) recognizing its importance to future space launchers and aircraft. The configurations analyzed for the "Hypersonic Research Facilities Study'' (HyFAC) clearly identify the convergence of the two families of vehicles. This observation was never translated into application and the two branches remained separate. As a result today we still launch single expendable or pseudo-expendable launchers one at a time, for the first, last and only time.